Chi Upsilon Sigma (ΧΥΣ) (“Cussies”) — official name is Corazones Unidos Siempre (Hearts United Always) — is a Latina oriented Greek letter intercollegiate sorority. Corazones Unidos Siempre, ХΥΣ, Chi Upsilon Sigma, National Latin Sorority, Incorporated has been in eXistence since April 29, 1980, incepted on the New Brunswick campus of Rutgers The State University of New Jersey. The Sorority was officially added to the Rutgers University Greek community on March 11, 1981. We are a Sisterhood of ALL ethnicity and cultures. Our common calling is a respect for one another and the ideals of our Founding Mothers, rooted in individuality, loyalty, pride, womanhood, and appreciation of our cultures and all its aspects. We pride ourselves in our mission to educate, not only ourselves, but the community. One of our organizational goals is the promotion of political, educational, cultural, and social awareness. We stand by our four values of LEADERSHIP, SISTERHOOD, CHARACTER, and SERVICE. We accomplish these goals through programming, philanthropies and hands-on community service. Our motto is Wisdom Through Education. 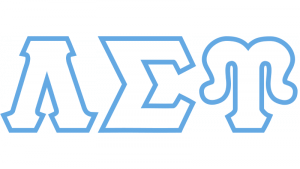 On April 5th, 1979, Lambda Sigma Upsilon Latino Social Fellowship, Inc. was established. The official motto of the fellowship was “Latinos Siempre Unidos” (Latinos Always United), thus the acronym “LSU”. 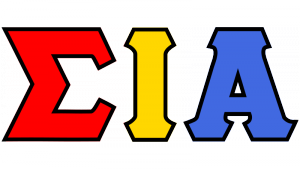 In the Fall of 1987 the brothers finally agreed to change the designation to fraternity, thus the name Lambda Sigma Upsilon Latino Fraternity, Inc. was adopted. Mission: We, the brothers of Lambda Sigma Upsilon Latino Fraternity, Inc., strongly believe that many individual and collective successes can be achieved through the efforts of a culturally diverse brotherhood of college and university men who, through close association with each other, maintain honesty, commitment, respect, and trust. The maintenance of these qualities is nurtured in large part through the diversity of culture and through selfawareness and self-respect. Among the results of actions taken in these states of being are the promotion of friendship and Brotherhood, the development of individual character, the advancement of justice and opportunity, and the acquisition of soundness and excellence in education. Epsilon Chapter is the 5th chapter of Lambda Theta Alpha. Our chapter was founded at Rutgers University in New Brunswick, New Jersey on November 15th, 1987. Our chapter was founded by 9 strong, motivated, and dedicated women who are still active and present at Rutgers University. Our chapter was founded at Frelinghuysen on the Latin Images special interest floor. Epsilon chapter has been extremely innovative and has been responsible for significant progress within Lambda Theta Alpha. Epsilon chapter is responsible for the creation of the national newsletter of Lambda Theta Alpha known as Moonlighting. 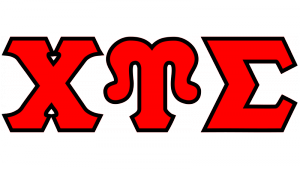 We were also the first chapter to establish a chapter website. Epsilon chapter was also the first chapter of Lambda Theta Alpha to bring a full length play to our college campus. Epsilon chapter also has a strong focus on community service initiatives. We participate in the annual AIDS walk in New York City, the Breast Cancer Awareness walk, the March of Dimes, and the Big Chill just to mention a few. Our chapter also always achieves 100% participation in the annual Rutgers University Dance Marathon to raise money for our Adopt-a-Family child and the Embrace Kids Foundation for children with cancer and blood disorders. We have also been actively involved in the New Brunswick community by volunteering at local elementary schools tutoring New Brunswick youth. History: Lambda Theta Phi Latin Fraternity Inc., also known as the Lambdas, was founded on December 1, 1975 at Kean University in Union, New Jersey. 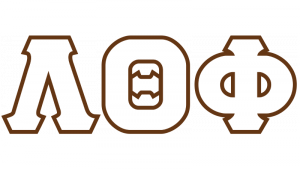 Lambdas are the first and largest nationally recognized Greek-letter organization founded as a Latin Fraternity. 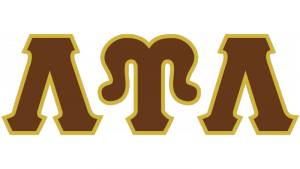 The membership of Lambda is open to all college men who support its values of scholarship, respect for all culture, community service, and the advancement and fair treatment of Latinos. 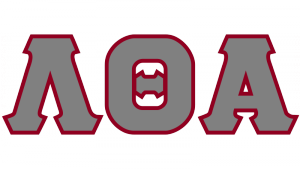 Lambdas were the first Latin Fraternity to be recognized by the North-American Inter-Fraternity Conference (NIC), is a member of NALFO, and has over 90 chapters and colonies, Rutgers University being the 2nd establishment of Lambda Theta Phi. 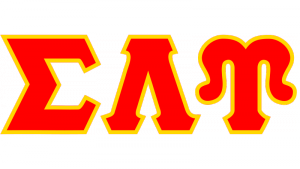 Since Dec. 11, 1978, the chapter has dedicated itself to academics, leadership, and service to the community. Since its inception in 1982, La Unidad Latina has remained on the vanguard of political and community empowerment by developing influential leaders that strive to exert knowledge and power into its peers in order to attain mutual success. We commit ourselves to academic excellence, leadership development and cultural enlightenment, enhanced by a diverse cognizant membership. 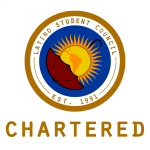 La Hermandad strives to preserve and promote an inclusive intellectual environmentfor its members, in addition to the general community. In the execution of its conceived mission, La Unidad Latina will: – Provide Latino students with the academic, cultural & social support necessary to excel in institutions of higher learning -Increase opportunities for Latino children & adolescents to achieve in elementary & secondary schools -Develop leaders that shall provide, develop and implement the tools for community empowerment -Inspire ethnic pride and cultural awareness in the Latino community -Support the efforts to enhance the growth and wellbeing of the Latino community -Collaborate with individuals, organizations and institutions that will join our efforts to improve the conditions of the Latino community. 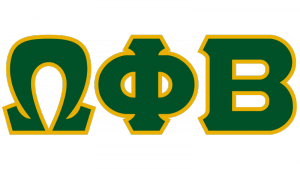 Omega Phi Beta Sorority, Incorporated was founded on March 15, 1989 at the University at Albany, State University of New York by seventeen women from various racial, ethnic, and cultural backgrounds. The purpose of OPBSI is to Serve and Educate people of diverse backgrounds through sisterhood, leadership, and guidance. As positive role models, we promote unity of all cultures, focus on the empowerment of our gender and raise the standards of excellence in our academic, social, and personal endeavors. OPBSI envisions a world without oppression, where empowered women celebrate the essence of womanhood and act as resources in the advancement of their communities. As Hermanas of Hermandad de Sigma Iota Alpha Inc., our mission is to uphold the goals set forth by our thirteen founding mothers. We pledge to formalize, cultivate, and foster bonds amongst each other as sisters and abide by respect, trust, communication, professionalism, and accountability. To constantly strive towards the expansion of awareness of the Latino and diverse cultures. To promote sisterhood and leadership among our members. To serve as models of excellence in education and achievement among women. We fulfill our mission and uphold our goals through educational programming, community service, and personal development. 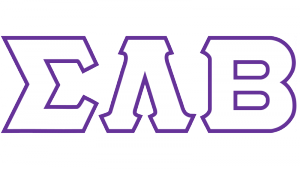 As one of the largest culturally based Greek lettered organizations in the United States, Sigma Lambda Beta (SLB) strives to provide its members with a meaningful fraternal experience that starts in college and never ends. Over the past 28 years, SLB has grown from one single chapter at the University of Iowa, to over 100 collegiate entities across the nation. Having so many chapters allows helps showcase the desire men seek in having the distinct Fraternity experience SLB offers. Not to mention that if you find yourself in need of a place to crash for the night while half way through your cross country road trip, chances are there are Brothers in the area! 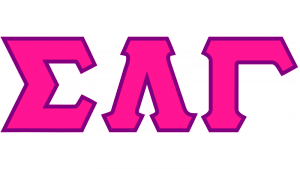 Sigma Lambda Gamma strives to be the premier organization committed to providing a mechanism of empowerment to all women. Through a network of close to 3,000 multicultural sisters from collegiate chapters and alumnae associations located across the United States, we promote academic excellence and higher education for all women via a dedication and incorporation of the sorority principles – Academics, Community Service, Cultural Awareness, Morals & Ethics, and Social Interaction – in our lives.